Chaganjuu, asere (How are you, friend)! 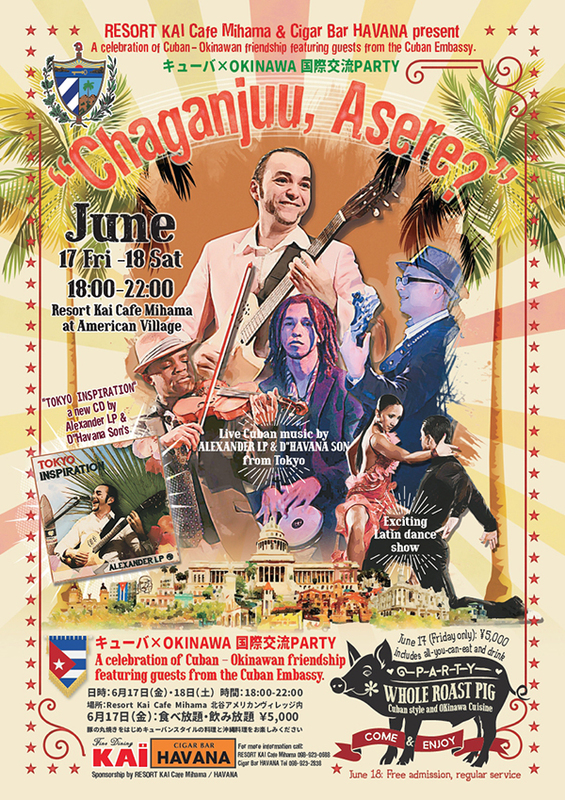 Resort Café Kai Mihama and Cigar Bar Havana present the first Cuba & Okinawa International Friendship Festival on Friday, June 17 and Saturday, June 18, with invitees to include officials from the Cuban Embassy in Tokyo. Join the fun as two vibrant island traditions come together in food, music and friendship. 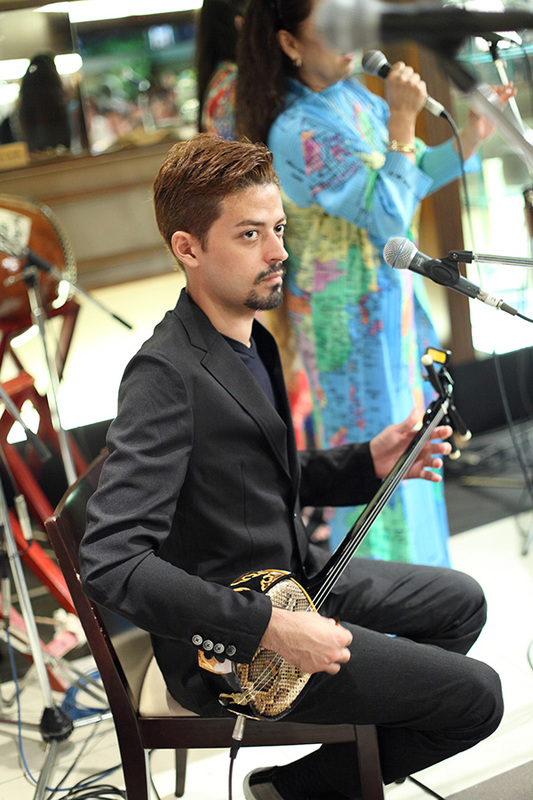 The event will feature live entertainment including hayahiki (rapid) sanshin performances by Edy, salsa dancing and special guest singer, guitarist and composer Alexander Laborde Padron and his band from Tokyo. On Friday only, an all-you-can-eat-and-drink package is included in the price of admission. Featured delicacies will include a Cuban-style whole roast pig served alongside Okinawan cuisine. The Saturday event will feature free admission with regular food and drink service.